The United States Supreme Court handed down a decision today that will profoundly affect the way police search for drugs. In reviewing a case out of Lexington, Kentucky, the Court—in an eight to one decision—ruled that “exigent circumstances” are created when police reasonably believe a suspect is in the process of destroying evidence, and therefore a search warrant is not constitutionally required. In the case of Commonwealth of Kentucky vs. Hollis DeShaun King, the Lexington police conducted a “buy bust” raid on October 13, 2005, at an apartment on Center Parkway. Officers followed a suspected drug dealer to the apartment complex, and testified that they smelled marijuana outside an apartment door, knocked loudly, and announced their presence. As soon as the officers began knocking, they heard noises coming from the apartment which sounded like something was being flushed down a toilet. The officers announced their intent to enter the apartment, kicked in the door, and found Mr. King and others; along with drugs in plain view. The Fayette Circuit Court denied King’s motion to suppress the evidence, holding that exigent circumstances–the need to prevent destruction of evidence–justified the warrantless entry. King entered a conditional guilty plea, reserving his right to appeal the suppression ruling, and the Kentucky Court of Appeals affirmed. The Supreme Court of Kentucky reversed. The court assumed that exigent circumstances existed, but it nonetheless invalidated the search. The exigent circumstances rule did not apply, the court held, because the police should have foreseen that their conduct would prompt the occupants to attempt to destroy evidence. 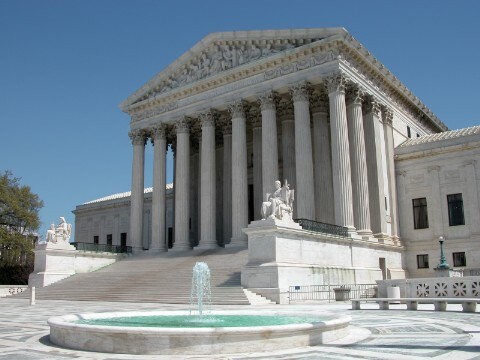 But the U.S. Supreme Court reversed the Kentucky Supreme Court, ruling that the exigent circumstances rule applies when the police do not create the exigency by engaging or threatening to engage in conduct that violates the Fourth Amendment. Restating the established rule that a warrantless search is objectively reasonable under the Fourth Amendment, the Court created a new test to determine when and if police impermissibly create an exigency.